Flat Cap Hotels are in the final stages of Sensitively Converting, Restoring and refurbishing this Iconic building known as ‘The Courthouse’ into a unique venue with a 150 cover restaurant and Wine bar, (Known as BARRISTERS) plus a converted court room with a 350 guest capacity for Conferences, Weddings and Events. The 2 existing wings will be converted into 10 bedrooms and later in 2019 will see the construction of 50 more bedrooms. In charge of the restaurant Area is Executive Chef of the group, Steven Tuke who will be championing Fresh locally sourced, British seasonal food. Also in attendance on the day will be The “FLAT CAP HOTELS” Management and Events Team. Comprising of GENERAL manager RUBEN, INDIA, OLIVER and DOMiNIC who will be available to show you around this spectacular building. 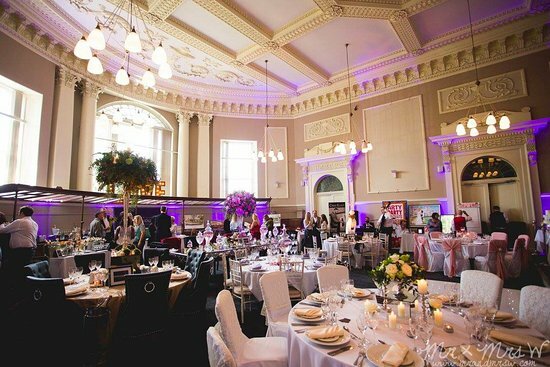 and answer any enquiries that you may have about using this fabulous Unique and Iconic New Wedding/Corporate Events Venue for your function.